Target: St. Louis - BUY THIS DVD! After Hiroshima, the United States Army, eager for new ways to weaponize atomic power, engaged in a series of classified open-air studies designed to test the effects of aerosol radiation in a metropolitan setting. At first the tests were described as defensive, the latest strategy against the threat of Russian bombers. But as later declassified documents suggest, the goal of the testing (performed primarily in low-income and African-American neighborhoods of North St. Louis), was to develop offensive capabilities which could match the climate and terrain of downtown Moscow. Consequently, generations of St. Louis inhabitants were unwitting participants in a government testing program which, like the infamous Tuskegee Syphilis Project, was facilitated by the U.S. Department of Public Health. 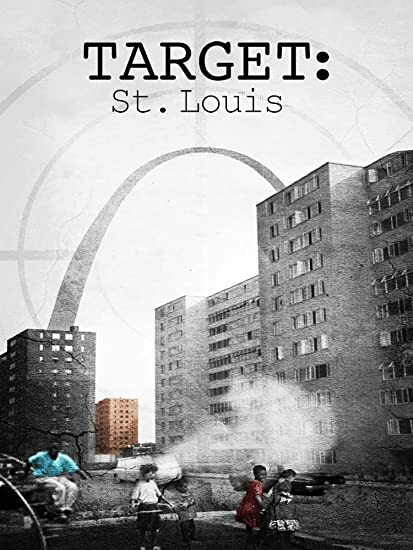 TARGET: ST. LOUIS investigates the historical catalyst for these events, the survivors' quest for answers and the subsequent Federal legislation requiring informed consent by human subjects. THEN SEND IN YOUR NAME AND ADDRESS TO contests@efilmcritic.com or WeLoveHBS@aol.com. (Just one e-mail please.) Put [b]"GET THE CARDINALS FIRST" in the subject line and cross your fingers. We will draw names and one of the prizes could be yours. Only 1 entry per household.